This entry was posted in General, Radiology Terminology. This entry was posted in Library, Radiology Terminology. The ankle joint is made up of two joints: the true ankle joint, which moves the foot up and down, and the subtalar joint, which moves the foot from side to side. 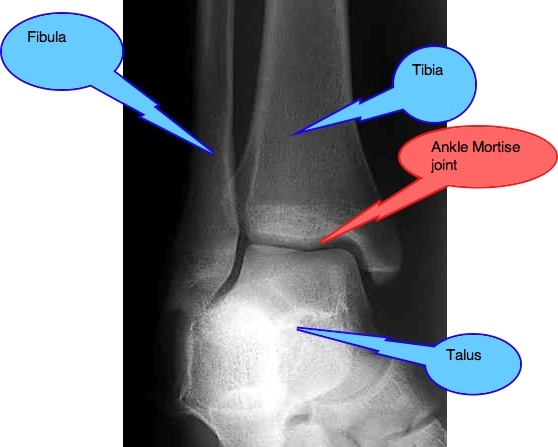 The ankle mortise is the “hinge” that connects the ends of the tibia and fibula to the talus.